Unveil radiant skin, never before attainable at home, with a wrinkle fighting solution that features specially designed laser technology and skincare. 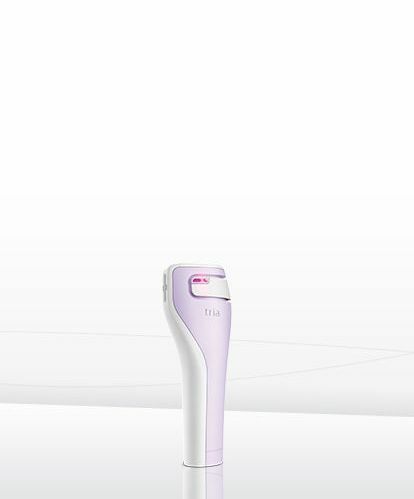 Created by Tria in collaboration with dermatologists and plastic surgeons, the SmoothBeauty™ Laser uses the same technology as professional in-office treatments (clinically known as "fractional non-ablative laser treatments"). Targeted beams of light work below the skin's surface to accelerate collagen and elastin production for visibly younger and more radiant skin. It's safe, effective and easy to use. "The Tria Laser is like a magic wand for my face." "I don't have to say, 'Do I look any different?' They're noticing on their own!" "The outcome was just amazing! I'll never stop using it!"